Audiobooks – My New Love! What’s Best – Book or Movie? I am fairly traditionalist when it comes to reading, the smell and feel of print something that cannot be replicated. I like to sit down with a physical book, and slowly immerse myself in the pages as I get lost in another reality for a little bit. Recently though I have found a new love…one that came from having less time for my reading chill out sessions, one that lets me read no matter where I am…Audiobooks. Now many of you are probably thinking that audiobooks aren’t proper books, but for me I feel like it has opened my reading world up to so many possibilities. I have already read more books this year than last year because I opened my heart to change, to something a little different. The main thing I have discovered is that listening to Audiobooks is a great opportunity to get through those very long books that would lay by the nightstand only half read, and I am slowly ticking off my book bucket list. 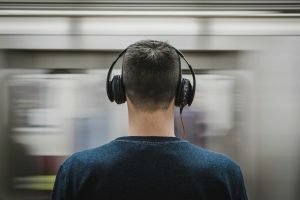 The narrators do not always suit everyone, and it really is a personal choice, but there are some fantastic narrators that read audiobooks. Recently I listened to the Outlander series and the narrator Davinia Porter is easy to listen to and is extraordinary at doing different character voices which brings the books to life. Sometimes authors read their own book which I feel gives a true interpretation of their novel, but I have also enjoyed listening to Anna Bentinick, Susann Bennett and Dennis Boutsikaris. We live in a diverse culture where we access information in so many different ways, and this includes audiobooks. They are indeed ‘real’ books and we listen to them for many reasons – sight impaired, can’t physically read, time poor, and long commutes are just a few. As a child I listened to them as I went to sleep and only reinforced my love for reading while supporting my literacy development. I encourage you to try an audiobook out, it is so easy and you don't even have to get off the couch! Also perfect for when you are busy or time poor. New to audiobooks and unsure where to start? It's a hard choice whether to choose your favourite books and authors, or try something new. 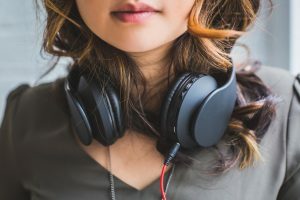 I have compiled a list of books to help get you started on your audio reading journey.